Are you searching for a new or used Ford Explorer anywhere near the Northeastern part of Oklahoma? Vance Ford Lincoln in Miami, OK is the premier dealer for NE Oklahoma. There’s good reason! 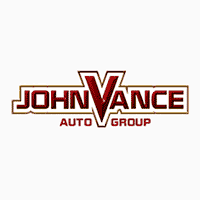 Vance Auto Group has been dedicated to helping people find the perfect vehicle for over thirty years. We treat our customers like our own neighbors because they are. We are just a quick 30 minute drive from Joplin, MO as well. Vance Auto Group has nine full service dealerships which gives you a huge preowned inventory to choose from. If you are looking for a new or used Ford Explorer, come visit us in Miami, OK.
No matter what roads you travel, the Explorer is at home on the highway, country roads, in the city or exploring off-road. You will love your drive whether it is to work or on a trip. It’s as ready to tackle life as you are and as versatile as you need it to be. You can trust it with your family, as a company vehicle, to play in, haul with, or transport cargo. It looks like a refined ride but can work like a truck. The Explorer carries you in luxury or takes you into the back country. It can haul a boat or carry merchandise, treasures or a sports team. The interior is just as exciting as the exterior. Check out the available powered third row seating which you can easily fold down for cargo at the touch of a button. With up to five models to choose from, you can have as many comfortable features as you want. Seat up to seven or use its spacious cargo area for whatever your plans are for the day. Stay connected as you drive with all the latest ways to keep you in touch as you go such as the Ford Pass Connect with WiFi Hotspot, Alexa, Sync 3, 180 Degree Camera and more. Safety features include Lane changing alerts, Blind Spot warnings, and the ability to set your cruise control to think for you. There is so much more to explore in the all new Ford Explorer. We invite you to come experience the Explorer for yourself at Vance Ford Lincoln in Miami, OK where you can count on us to treat you like neighbors.